Jeremy graduated with merit from the University of Cambridge in 2008 with a double first in Zoology and Veterinary Medicine. In 2009, he completed a Small Animal Junior Clinical Training Scholarship at the Royal Veterinary College, London. Following this, Jeremy worked in various small animal general practices throughout the UK. In 2011, Jeremy started as a Senior Clinical Training Scholar in Neurology and Neurosurgery at the University of Bristol. Jeremy was awarded a diploma of the European College of Veterinary Neurologists in October 2014, and became a veterinary neurology specialist. Jeremy then joined the University of Bristol as a Teaching Fellow in Veterinary Neurology and Neurosurgery, where he worked for twenty-four months, before joining Fitzpatrick Referrals in December 2016. 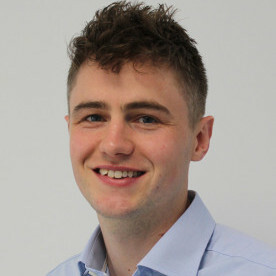 Jeremy is experienced and interested in all aspects of veterinary neurology and neurosurgery but has a particular interest in inflammatory conditions of the central nervous system, including steroid responsive meningitis-arteritis and polyradiculoneuritis, as well as spinal stabilisation surgeries.